On Sunday, October 27th, the Pastors, members and friends of New Salem Community Fellowship Church celebrated Bishop Nathaniel Small Sr., and Lady Jacqueline B. Small and the 29th Anniversary of the organization of the ministry. 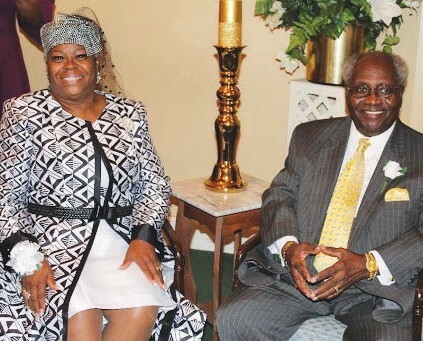 Under the guidance of the Holy Spirit on October 8, 1989, Bishop and Lady Small organized the ministry in their home. God has continued to bless the ministry and allowed it to grow and be a “Touch Life” ministry to members, guests and friends. 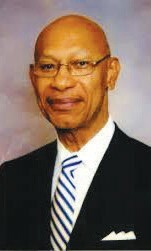 Dr. Otis Johnson, former Savannah Mayor and current Scholar in Residence at Savannah State University served as the guest speaker. Dr. Johnson shared the story of Nehemiah, who did a great work rebuilding the walls of Jerusalem, Nehemiah 6:3. Much like Nehemiah, Bishop Small left respected leadership positions to organize and build a ministry to be a light for those seeking to worship God freely and in the beauty of holiness. Pastors Raymond and Clara Rouse, along with the ministers, deacons, elders, members and guests celebrated this “Man of Distinction” along with his wife and their unselfish and humble dedication to this ministry for 29 years. To God be the Glory for all that He has done!